This ‘Group’ is a ‘CLOSED’ Facebook Group which means only members of it can see other members and all posts and replies are kept safe within the group – they are not published to your main Facebook Timeline. You will see notifications in your Newsfeed (but this does not mean they are public). Please do note however, any member of the group may view another group member’s FB profile and see any information; pictures, friends, posts, etc. that you have set to public. 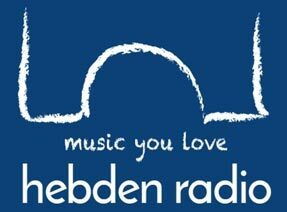 Calderdale in Recovery is proud to be supporting Hebden Radio. “Playing the Music You Love. Local News and Events featuring incredible presenters. Along with local Tracks, live gigs and so much more! Get in touch to promote local music or help us create specialist shows for Hebden Bridge. People in Calderdale who are in Recovery from addiction are helping to spread the word that it is possible to have a life free from drink or drugs”. With the help of Hebden Radio, we hope to raise more awareness of the services available to local people.